The SQL Server 2012 Virtual Launch Event kicks off on March 7, 2012 starting at 8:00AM Pacific (-8:00 GMT) with keynotes from Microsoft Executives including: Ted Kummert, Corporate Vice President, Business Platform Division and Quentin Clark, Corporate Vice President, Database Systems Group. Following the keynotes, you’ll have access to over 30+ sessions to learn about the new capabilities of SQL Server 2012 at your own pace, on your own schedule. The following sessions below are recommended for all DBAs and IT Professionals that want to learn all about the exciting New World of Data with SQL Server 2012. During the first 24 hours of the virtual launch event, you’ll be able to live chat with members of the SQL Server team to help answer your questions. Register today at www.sqlserverlaunch.com for the SQL Server 2012 Virtual Launch Event and start adding the recommended sessions below to your calendars. Get a taste of what’s new in PowerPivot, the self-service BI experience that enables information workers to build their personal and team BI applications within the familiar environment of Excel: This session will provide a quick introduction to PowerPivot, followed by demos highlighting the top 5 new modeling features delivered with the release of SQL Server 2012. No matter how brilliant your BI tools are, it’s garbage-in-garbage-out. This session will give an overview on the new Data Quality Services product in SQL Server 2012. Come watch this important scenario to learn how to position, sell, and demo the new DQS product. Today’s medium and large enterprises are complex entities, built on a wide range of technologies. The biggest challenge emerging for IT implementers is cross-platform database management. In a recent survey on DB trends, a third of the respondents said they expect more DB platforms to be introduced in their organizations next year. Learn why Oracle DBAs should consider becoming bilingual DBAs and how Microsoft can help them grow and advance their IT careers. This session provides an overview of AlwaysOn and explains how you can build a high availability solution using the new features and capabilities. You will learn how to deploy an AlwaysOn solution, how to utilize your secondary hardware for better return of investment and how the new solution simplifies deployment, management of high availability in your environment. The session will also describe how to manage application connectivity of your primary OLTP applications and reporting applications in an AlwaysOn environment. In this session we will look at new backup and restore capabilities in SQL Server 2012 in order to enhance database protection for customers. Go behind the scenes with SQL Server engineers for a quick technical tour of the ColumnStore Index feature and an introduction to best practices for achieving astonishing performance with your ColumnStore Indexes. 80% or more of the data produced and stored are so called unstructured documents and are often not stored in the database, but often need to be managed in conjunction with relational data. 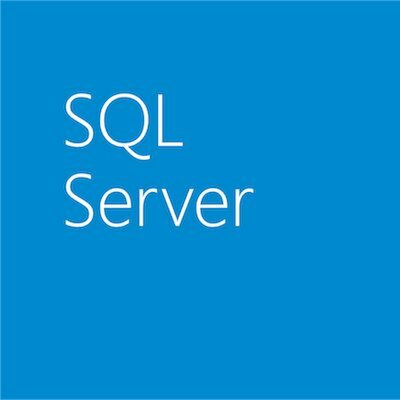 In order to facilitate the storage and management of unstructured data, SQL Server has evolved from storing blobs to providing a sophisticated integration with the Windows Filesystem and provides rich services over such data to provide an interesting and compelling application development experience. This presentation introduces the new unstructured data processing capabilities of SQL Server 2012 that provide full Windows application-compatible file management over files stored in SQL Server as well as the services to unlock the information in such data such as the extensions and improvements to Full-Text Search and the introduction of semantic similarity search. In this session we will explore Apache Hadoop on Windows Server and Azure and powerful insights we can generate integrating with SQL Server. SQL Server 2012 comes with an impressive addition of T-SQL functionality. These enhancements cover a range of topics such as ease-of-use, performance and improved metadata discovery. In this session Tobias will give an overview of these features and dive a bit deeper into some of them using live-coding demos. We’ll take a look at SQL Azure Data Sync and see how it can be used to provide an on-going data synchronization for various scenarios like hybrid applications (on-prem to cloud), scale out (cloud to cloud), geo distribution (cloud to cloud across data centers) and so on. We will also show you how SQL Azure Data Sync can be used with other Azure platform capabilities like Azure Reporting Services. In this session we will cover key private cloud enabling features in SQL Server 2012. Register today at www.sqlserverlaunch.com to meet the new Microsoft cloud-information platform, SQL Server 2012!